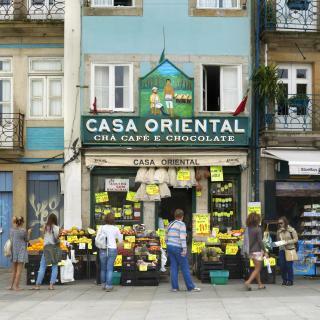 Looking for deals in Porto? Located in the União de Freguesias do Centro district in Porto, 1640 feet from Paris Galleries Street, MyStay Porto Centro features air-conditioned rooms with free WiFi. The location was excellent, the famous Library Lello is just around the corner, clean, new and perfect get away!!! Eurostars Porto Centro is located in Porto, 984 feet from Paris Galleries Street. Guests can enjoy the on-site bar. Each room at this hotel is air conditioned and comes with a flat-screen TV. Location location location! It is in the heart of Porto. 5 mins walk to the City Hall, Bar district, dinning area, and famous bridge. 10-15min walk to the riverfront and shopping area. I love the city of Porto and the location of this hotel! I would definitely recommend this place to all my friends in the future. 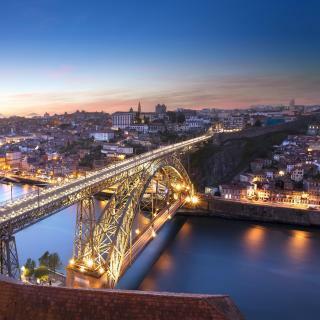 The 4-star Eurostars Porto Douro is located in the city of Porto facing the Douro River, just a 3-minute walk from the UNESCO World Heritage Ribeira and the D. Luís I Bridge. Very clean and comfortable room. Located in the Ribeira area the Descobertas Boutique Hotel Porto, offers a modern and comfortable accommodations with free WiFi. We loved this property in Porto. It was a hidden gem. It's located in the heart of Porto, walking distance to the Douro River and some fantastic restaurants. The rooms are large by European standards, and the breakfast is delicious! We will definitely be recommending this place to our friends and family. Featuring free WiFi, The House Ribeira Porto Hotel is set in Porto, 328 feet from Palacio da Bolsa. Guests can enjoy the on-site bar. The rooms are fitted with a flat-screen TV. Kind staff. Good price. Good location. Good egg tart! With its avant garde feel and furnishings, Vincci Porto is a stylish 4-star hotel in a renovated landmark building know as Bolsa do Pescado. It is a nice hotel, staff vert friendly and informative. Eurostars Oporto is a modern design hotel located 330 ft from Hospital São João Metro. The hotel offers a breakfast buffet daily, contemporary rooms and free Wi-Fi in public areas. We had dinner in your restaurant and the food and service was very good. In Porto’s Ribeira district, this 4-star hotel is in a renovated, historic building overlooking the Douro River. It offers air-conditioned accommodations with free Wi-Fi. It also has an elevator. Friendly staff, excellent location, fancy ambiente, great breakfast! Featuring free WiFi throughout the property, Charm Palace is located in Porto, 1312 feet from City Bolhão Market, Rua Santa Catarina and from Capela das Almas. Exquisite old property; beautifully restored and lovingly maintained. Featuring a seasonal outdoor swimming pool and free WiFi, House of Pandora is located in Porto, 2 miles from Estadio do Dragao. Located in Porto, the 4-star Eurostars Heroismo is within a 1-minute walk from Heroismo Metro Station. Very friendly and helpful staff, comfortable, clean with a fantastic breakfast. 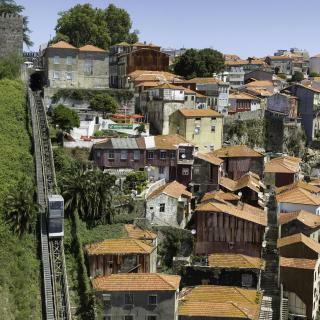 Premium Porto Downtown is located in Porto's historical center, 2625 feet from Aliados Avenue. The location is wonderful! Close to everything. Part of Mercado do Bom Sucesso building, the design Hotel da Música offers a 24-hour reception 1312 feet from Casa da Música Metro Station. It features a restaurant and bar on site. Hotel staff. Quiet. Attached to a marketplace full of food stalls..very good. 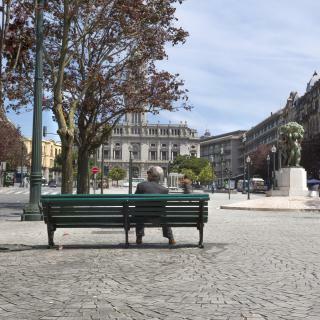 Providing free WiFi, Zero Box Lodge is located in Porto, within a 2-minute walk of City Market Bolhao. Half a mile from Oporto Coliseum, the hotel provides a terrace and a bar. Super friendly and helpful staff. Set in Porto, 1640 feet from City Market Bolhao, Mystay Porto Batalha provides accommodations with a terrace. Big room with all the amenities to cook a meal. The room was clean. I would return for sure. Located in Porto and within a 12-minute walk of Oporto Coliseum, Porto Charming Hotel has a bar, non-smoking rooms, and free WiFi. Staff is amazing on every aspect, the location is central and the place is spotless clean. Located in the heart of Porto, 328 feet from the Santa Catarina Street, The Artist is a 4-star hotel with a confortable and contemporary ambiance. It offers free WiFi in all areas. Hotel location .rooms nice and comfortable. the paintings in the restaurant amazing . The 5-star Pestana Vintage Porto Hotel & World Heritage Site is romantically located along the Douro River, right on the historic Ribeira Square. I have just returned from the Pestana Vintage and had a wonderful stay. Located in a refurbished Art Deco cinema, Moov Hotel Porto Centro offers modern rooms with free WiFi. Just perfect for a quick two nights touring Porto. Which hotels in Porto are good for couples? These hotels in Porto are highly rated by couples: Maison Albar Hotels Le Monumental Palace, Gran Cruz House, and House of Pandora. Which hotels in Porto have nice views? 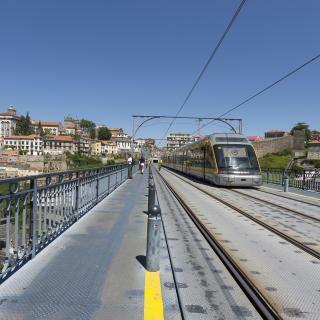 Ribeira do Porto Hotel, Maison Albar Hotels Le Monumental Palace, and Eurostars Porto Douro got great room view-related reviews from travelers in Porto. How much is a hotel in Porto for this weekend? The average price per night for a 3-star hotel in Porto this weekend is $185 or, for a 4-star hotel, $234. Looking for something even fancier? 5-star hotels in Porto for this weekend cost around $435 per night, on average (based on Booking.com prices). How much does it cost to stay in a hotel in Porto? On average, 3-star hotels in Porto cost $84 per night, and 4-star hotels in Porto are $122 per night. If you're looking for something really special, a 5-star hotel in Porto can be found for $188 per night, on average (based on Booking.com prices). How much is a hotel in Porto for tonight? On average, it costs $80 per night to book a 3-star hotel in Porto for tonight. You'll pay around $106 if you choose to stay in a 4-star hotel tonight, while a 5-star hotel in Porto will cost around $181, on average (based on Booking.com prices). Which hotels in Porto offer an especially good breakfast? 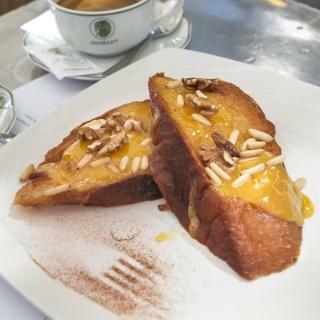 For hotels in Porto that serve highly-rated breakfasts, try Gran Cruz House, Pestana Palácio do Freixo, Pousada & National Monument - The Leading Hotels of the World, and Vincci Porto. Which neighborhood is the best one to stay at in Porto? 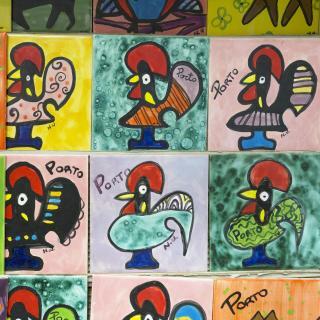 Bonfim, Sé, and Boavista are popular with other travelers visiting Porto. What are the best hotels in Porto near Francisco Sá Carneiro Airport? Travelers who stayed in Porto near Francisco Sá Carneiro Airport (OPO) have said good things about Park Hotel Porto Aeroporto, OPOHOTEL Porto Aeroporto, and Hotel Aeroporto. What are the best hotels in Porto near Douro River? Some of the best hotels in Porto near Douro River include Casa do Cativo, Wood Loft and InPatio Guest House. Which hotels in Porto are good for families? Many families visiting Porto loved staying at House of Pandora, Gran Cruz House, and Porto Royal Bridges Hotel. Which hotels are the best ones to stay at in Porto? Hotel Spot Family Suites, Torel Avantgarde, and Descobertas Boutique Hotel Porto are some of the popular hotels in Porto. Whether it’s wandering down a cute alleyway, past an impressive church or through the predominantly granite Avenida dos Aliados downtown, the hilly cityscape of Porto is impressively diverse. Overlooking the Douro River estuary, this merchant city features colorful homes; industrial bridges and the affluent river bank of Foz do Douro. Is wine your cup of tea? Take a port-wine tour through the wine caves in Vila Nova de Gaia. Interested in architecture? The Clerigos Tower and Sao Francisco Church will inspire visitors. Fancy some culture? Appreciate what Porto has to offer at the Ethnography and History Museum, Modern Art Museum at Serralves and the Casa da Musica Music Hall. Fresh food can be purchased daily at the Mercado do Bolhao Market in downtown Baixa. More diverse goods are for sale in the shopping center right next to Dragao Stadium, home to FC Porto. Find your perfect hotel or guest house anywhere from Sa Carneiro Airport to the center of Porto with over 160 options to choose from on Booking.com. Porto is a very nice town. Porto is a very nice town. But one will see many buildings in a state of disrepair. The whole country has been suffering from economic turmoil for some time, and is just now coming out of this situation. The area on the way from the main train station might scare some folks off, but once in the middle of the city center it becomes very nice. There are designer shops, too many restaurants to count from very expensive to snack places. We found our B&B to be wonderful. There was another hotel just down the street that looks very nice. I cannot begin to list the museums, and places of importance to visit, simply too many. Across the river are the Port Warehouses with tours and tasting rooms. So do not write Porto off your list, we are going back and spending several days this time. Based on the recommendation at our hotel, we ate at Restaurante Tripeiro onour first night. OMG!! We loved it. We ordered only several kinds of fish all of which were fantastic. Many things are nice in Porto. Wine is beyond great and suits all tastes since there so many options. Prices are much lower compared to other places in Europe. The hotel is situation in a good location. You can stay in and chill or venture into the city centre which is minutes away. The weather wasn't ideal (raining) when we were there but we enjoyed our stay in Porto nonetheless. 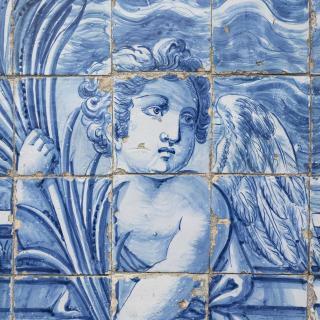 Porto has a clear identity and "reason to be". After five visits there are so many new things to explore. We once moved hotel because the area was non stop all night bongo dancing drums, we loved the town filled with students in coloured top hats who had qualified as doctors and were planning the migrations. The restaurants includes local specialities and honest staff, "the veal steak too big for one person"
Hop on Hop off was good and a great life saver since it was pouring rain ALL weekend long! Rather than sit in the hotel (which was great but not what we wanted to do), we chose to ride the Hop on Hop off along the same route three times. It would probably have been better to do this trip later in the season, but one can never predict the weather. Walk down through the streets and admire the architectural details. Take a tram trip out to the coast and continue to walk along the beach. There is an amazing antique toilet in the park at the end of the tram line. A small fee is charged but worth it. Coffee and the little custard tarts. Walk over the bridge and the top path is spectacular. The cathedral, the train station and the book shop are all good to visit. Try a glass of port over looking the river. Porto hospitality is wonderful the people are friendly and helpful. We enjoyed our meals out and a taxi to your hotel won't break the bank at the end of your day. Susana was amazing! She went over and beyond to help us when my internet stopped working and also arranged an early breakfast for us (we had to leave very early). The room was small BUT perfect and clean. It has it’s own designated parking space (parking is limited to none in Portugal) so it’s a huge plus. Definitely I’ll come back and stay here and to see more of Porto. The host Marta was really helpful and hospitable. She gave us the information as much as possible. Honestly we traveled around Portugal and we didn't see this kind of hospitality. Other thing that surprised us there were a welcoming pack like portwine and coffee. The apartment was really clean and new. It was close to the center. We didn't even use a transport. The location is amazing. The most beautiful hotel in Portugal, clean, stylish, beautiful, intimate, spacious, different from everything we have experienced so far. The owners of the hotel are simply charming and courteous. Helping and directing everything required. Highly recommend. Simply a maximum (even inexpensive) value for our selection. Dafna and David. ISRAEL. Location and hosts. Raquel and Luis were truly lovely hosts. Gave us very good recommendations for restaurants and suggested places to see in Porto. They were very helpful and offered to coordinate pick up of our luggage which got lost at the airport. Porto was our favorite city in Portugal and that was partly due to the accommodation and lovely hosts. The property was maintained in a very good condition. The owner prepared everything I may need. I prepared several meals by myself here and I could find any appliance necessary. I had a very pleasant time here. I have to say this is the best place I stayed during my trip in Portugal. If I visit Porto again, I will stay with this place again. Somewhere in between hostel and bed and breakfast, centrally located in an artsy area within walking distance to all major sights. Rooms are as quiet as can be expected in this lively city. With food and drinks abundant in portugal, the lack of a bar doesn't matter much, though social atmosphere might be improved by it. We spent 10 days in Portugal. This place is one of the best where we stayed - it has a very good location (close to the city centre and bolhao market), the apartments in the building are new and renovated and very spacious. Plus, the price per night is very good. Really enjoyed it, I wish we could have stayed longer. Based on the river about a 15-20 walk to the main Ribeira area, the hotel is well located if you don’t want to stay in the thick of things. Portugal has Uber and it is a very short ride into the central area. You may also catch one of two trams nearby. Breakfast was ok, and the staff were very helpful. This studio apartment was in an amazing location, clean and great value! But the best was the amazingly helpful staff - with fantastic communication, advice and great breakfast available. Our 4 nights in Porto was a hi - lite of our 2 week trip in Portugal thanks to Porto Ribeiro apartments! Best place in Portugal Not to mention its great location, it has amazing view. Also it is equipped with a lift. That was very impressed. Nice staff, very clean, big hair dryer, amenities etc. I would definately stay here again! House was very neat, clean, comfortable, and spacious. Location was good. Host provided books about Portugal,and good tourist information. It was very helpful for us. Good terrace,kitchen was fully equipped. Loved our stay! wow! after 11 days of portugal.and different motels,we finally got to the one who was the best for us. it just was like being at home. big.clean.had all what you need to enjoy.and excellant location. Amazing fresh breakfast (so rare in Portugal!) super friendly staff that went out of their way to make us feel welcome, lots of attention to detail. Loved my stay! Everything was great but Ana was incomparable!! She was incredibly supportive and helpful in overcoming a big personal problem, as if we had family in Portugal!! !